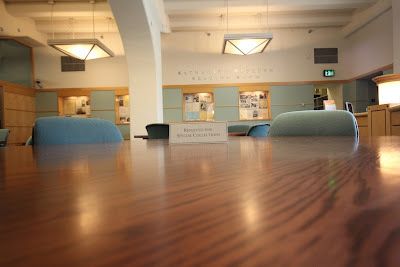 This is where you might view a special collection item, such as the personal papers of Katharine Hepburn (or Carey Grant, or David Niven, Alfred Hitchcock, John Huston. The list goes on, take your pick). Also viewed here are original artworks, or rare photos. 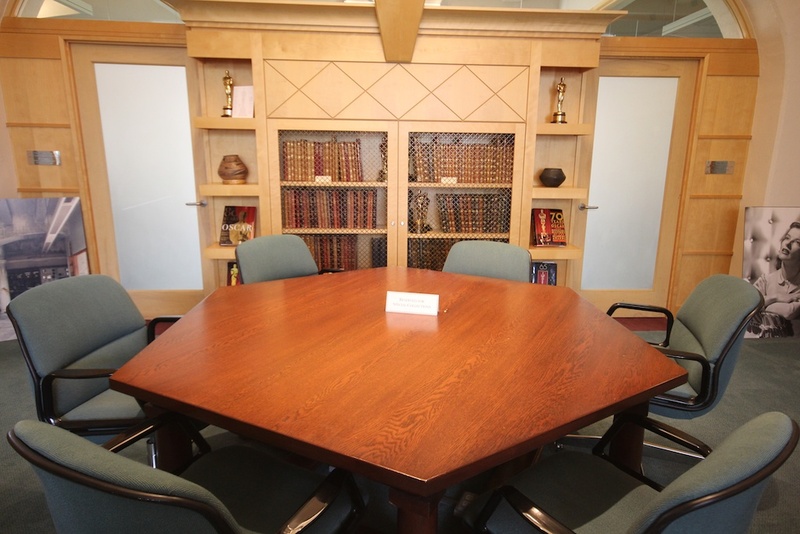 This is a high security library room manned with cameras and keen-eyed staff. Patrons are allowed a maximum of 2 folders at a time, but usually sit with just the one. Even the furniture is culturally significant. This was the dining table of Oscar winner Edith Head, built by her husband in the 1920's.